Discussion in 'Andy's Fashion Forum' started by speedmaster, Feb 28, 2009. Traditionally, balmorals/oxfords have been town shoes and appropriate (in the right colours of course) for wearing with business suits while derby/bluchers have been their more informal brethren more suitable for country and casual wear. However, this topic has been discussed many times on this Forum and there is certainly a large contingent that finds derby/bluchers perfectly acceptable for town wear, particularly in the US. 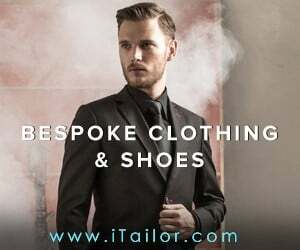 Moreover, as has been often noted, there is a continuum of formality within each genre and whether a particular shoe fits the occasion may well depend on that specific shoe's styling, construction, leather, colour, finish and related details. For goodness sakes use the SEARCH man! ^ Indeed, a search would have revealed this thread: Balmorals and Bluchers - Shoes 101 that includes an earlier publicaton of Medwards's post in this thread. But cut a tyro some slack. This isn't SF. In a blucher, the "quarters" (the part that begins at the laces) flap open, giving extra room at the instep. In a balmoral, the quarters meet evenly with no flap. +1, there are some real asses on SF.